Its December 3, 2014, and the Paris grey skies are not sharing their secrets – if they plan on giving the people below, rain, or snow. The cold air, has a sharpness, that feels like a tiny knife, when you inhale; it hurts a little – enough of a sting to remind you that you were standing in a European Northern City. I consider Paris, in this group, due to its latitude to Quebec. 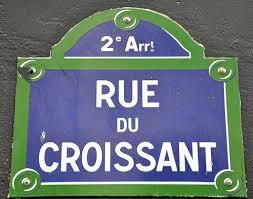 of the Arrondissement (the neighborhood) of where you are. I have tried to research the reasons, of why this was created. Unlike NYC – where things are not set into code – (the Village, Hells Kitchen ). 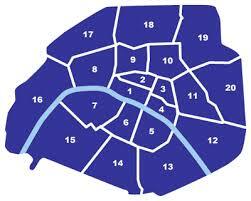 Paris areas are set into law. I found, this system, was created in 1795, but I have not found a reason why. One rumor, was these areas, were created, to stop any lower government revolution taking power…but this, I do not find logical. Each Arrondissement has its own mayor, and Hotel de Ville …in my opinion – this is a waste of bureaucracy money. Maybe, back when telephones were not common, the local Mayor, had to keep peace in the assigned areas – but now .. I see no need to keep this layer of government. This is just a simple example, of how the French are not flexible with the current times, and their inefficiency is a matter of fact.